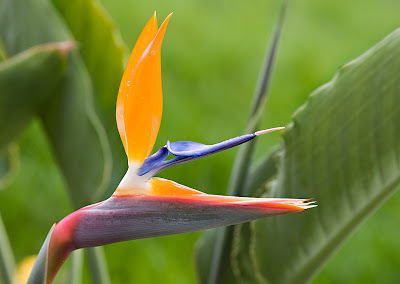 Kim has planted several birds of paradise around the yard (large ones in the back and these in the front). In the past week this one flowered, the first in our yard. We will be in Jamaica next week for a holiday so there should be fun pictures when we return. Technical Specs: Canon 1D3, 135 f/2, f/5.6, 1/160s, ISO 400.